Pest description and damage The black cherry aphid is a shiny black aphid species. This species produces winged adults that migrate to summer hosts in the mustard family. 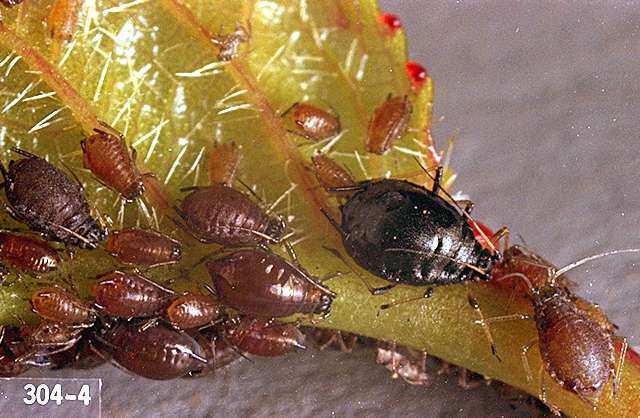 The rusty plum aphid is rusty brown or deep purple with white bands on the legs. Winged adults of this species migrate to corn, grasses and Virginia creeper during the summer. Many other aphid species may infest cherry. 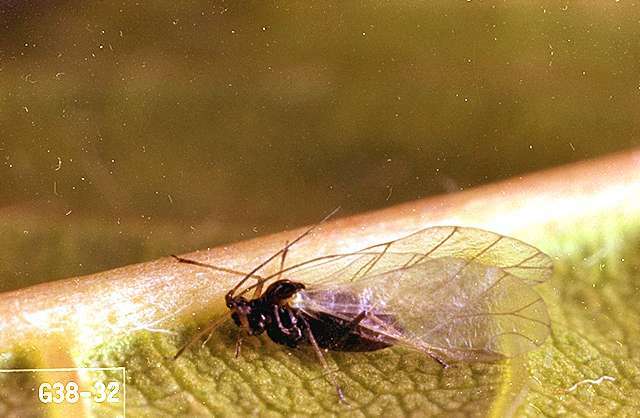 Aphid feeding can cause the host leaves to become curled and distorted.